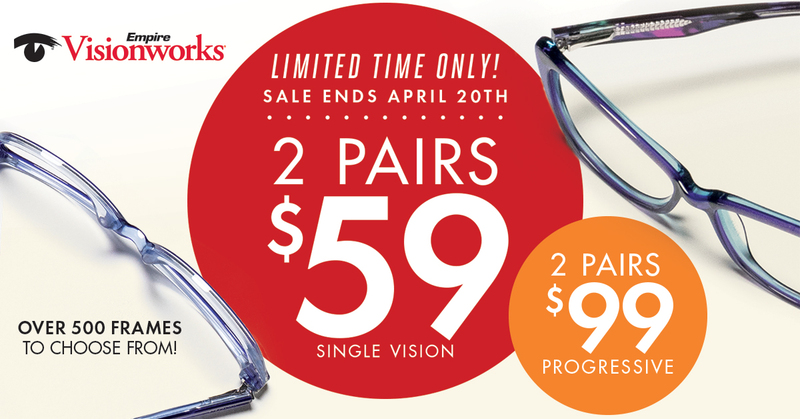 2 PAIRS JUST $59 AT VISIONWORKS! OVER 500 FRAMES TO CHOOSE FROM! HURRY IN! SALE ENDS APRIL 20.